The new SUV, called the GAC-Toyota ix4, will wear the logo of Toyota’s Chinese partner, GAC Motors, and will be built around GAC’s lower-cost technology. This gives Toyota a quick way to meet China’s requirements that such vehicles should account for 10% of a car maker’s production by 2019, with GAC then getting access to Toyota’s quality control and sales channel, Reuters reports. The report cites two unnamed company executives familiar with the matter and goes on saying that the new GAC-Toyota ix4 will go on sale by the end of the year. The battery electric model is based on GAC’s Trumpchi GS4 and has been in development for two years. The idea of selling a car derived from a Chinese partner’s vehicle would have been unthinkable for Toyota just a few years ago, but it gained momentum thanks to the Chinese government’s push to get more EVs on the road. The new GAC-Toyota ix4 is expected to use an electric motor with 180hp and 213lb-ft (290Nm) of torque and use a 47kWh battery pack for a total driving range of 192 miles (310km). 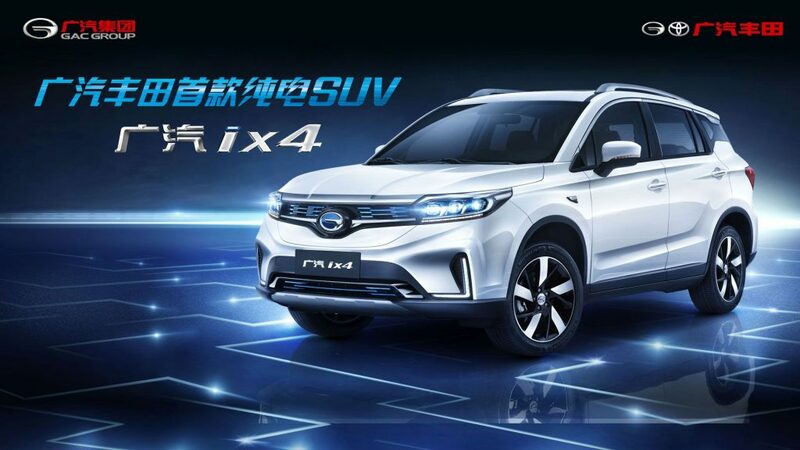 Toyota is reportedly negotiating a similar EV deal with its second partner in China, FAW Group, but so far nothing has been finalized. Everyday there seems to be a new EV model hitting the market somewhere. I guess it’s safe to say that at this point Tesla’s first to market advantage honeymoon is over. 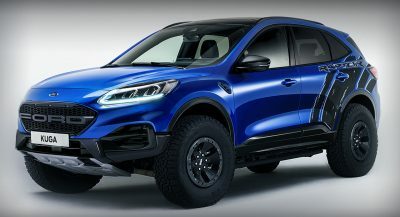 An EV without all that dumb EV over-styling. Way to go Toyota! I guess it’s a safe bet to say China will have the lion’s share of EVs in the world.